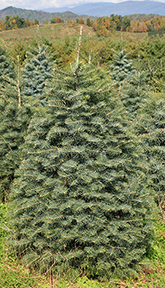 We are blessed with geography and climate to be able to grow and sell some of the finest Christmas trees available anywhere. 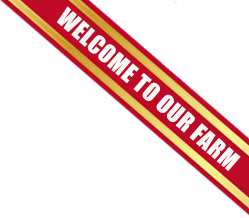 When you combine geography and climate with two generations of experience and a strong desire to please your customers, you have a great business! 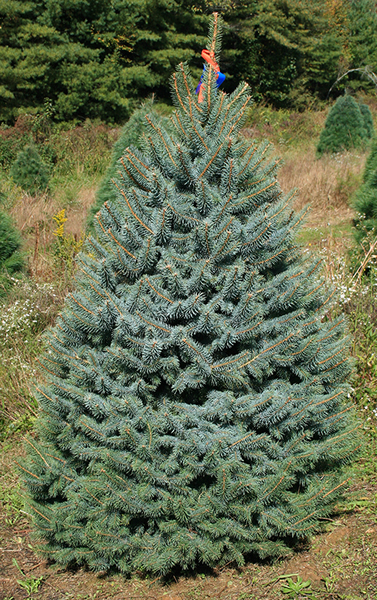 Characteristics of the Fraser Fir include a uniformly pyramid-shaped tree that has excellent needle retention, a dark blue-green color, and a pleasant scent. In addition, it has strong branches, is soft to the touch, and it ships extremely well. 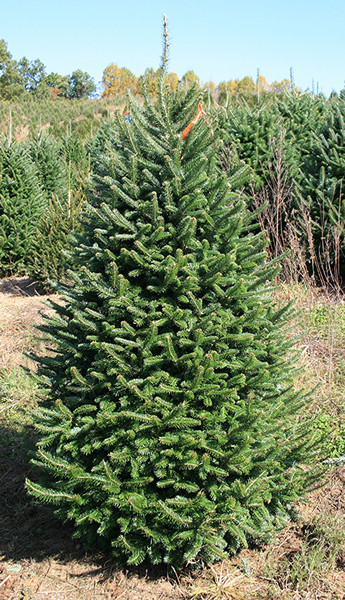 The Fraser fir grows naturally only in the southern Appalachians, above 3,000 feet. 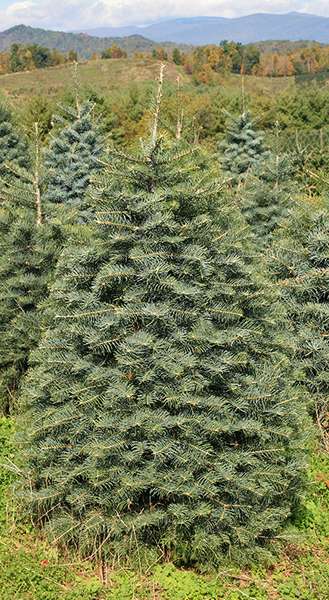 Fraser Premium, #1, #2, #3 "Promotional Grade"
Characteristics of the White Pine include long, soft, flexible blue-green to silver-green colored needles. 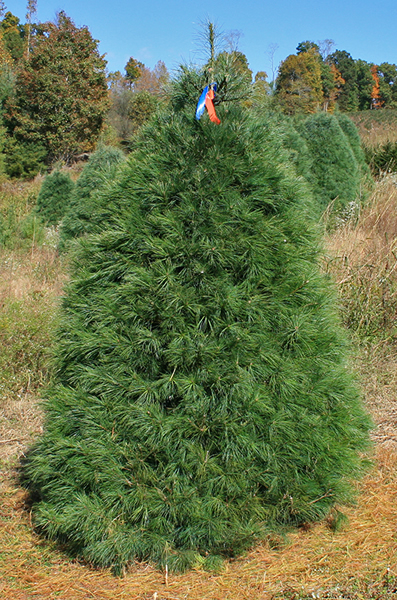 The White Pine's mild fragrance is good for people with allergy problems (mild aroma) and it has very flexible branches. It is native to eastern North America and it takes6-7 years to grow a beautiful, dense, and conical 6'-7' tree. 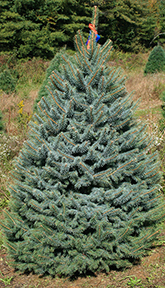 Characteristics of a Colorado Blue Spruce include a blue/silver/green color, sturdy branches, and a strong woody fragrance. 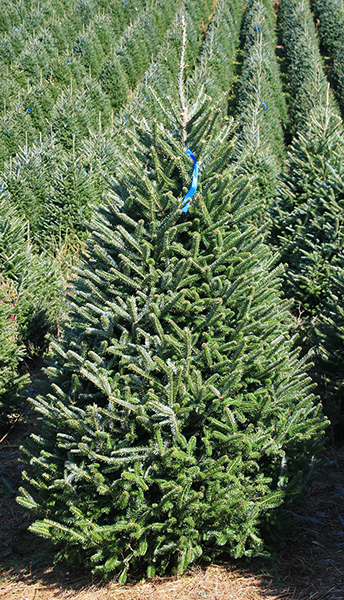 The Colorado spruce tends to hold its needles even when the tree becomes very dry and its symmetry and frosty color make it prized as a Christmas tree. 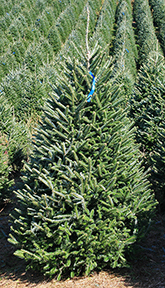 Characteristics of a Concolor Fir include long, soft needles, a citrus scent, and a blue/green color. 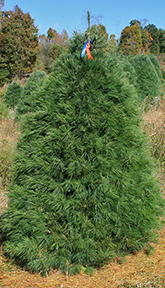 Also known as "White Fir", the tree has a pleasing natural shape and good needle retention. It originated in the Rocky Mountains.